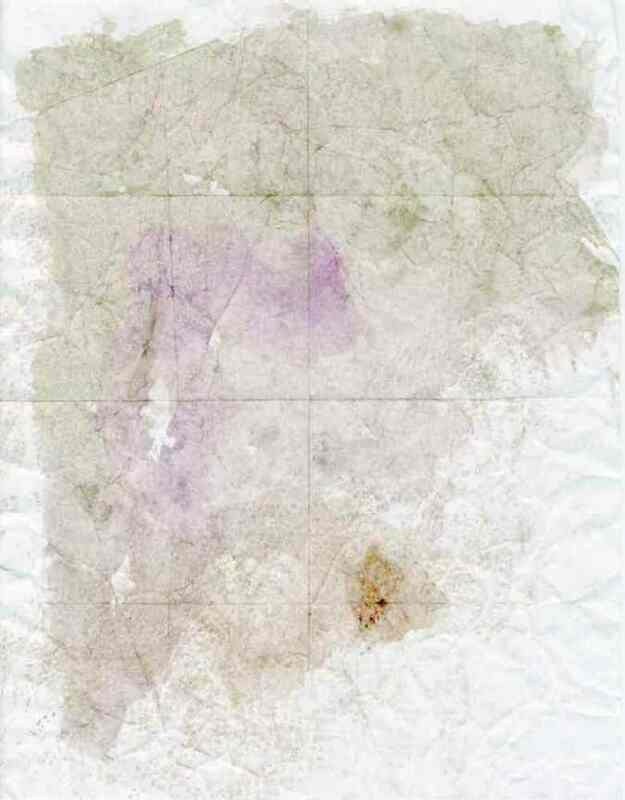 "BLOOD of the LAMB IV"
WHO IS THE LAMB OF GOD? Lamb of God (Latin: Agnus Dei) is a title for Jesus that appears in the Gospel of John. It appears at John 1:29, where John the Baptist sees Jesus and exclaims, "Behold the Lamb of God who takes away the sin of the world." "Lamb of God, who takes away the sins of the world, have mercy on me! Lamb of God, who takes away the sins of the world, have mercy on us!" 9 Then the angel said to me,"Write this: Blessed are those who have been called to the wedding feast of the Lamb. "And he said to me, "These words are true; they come from God." 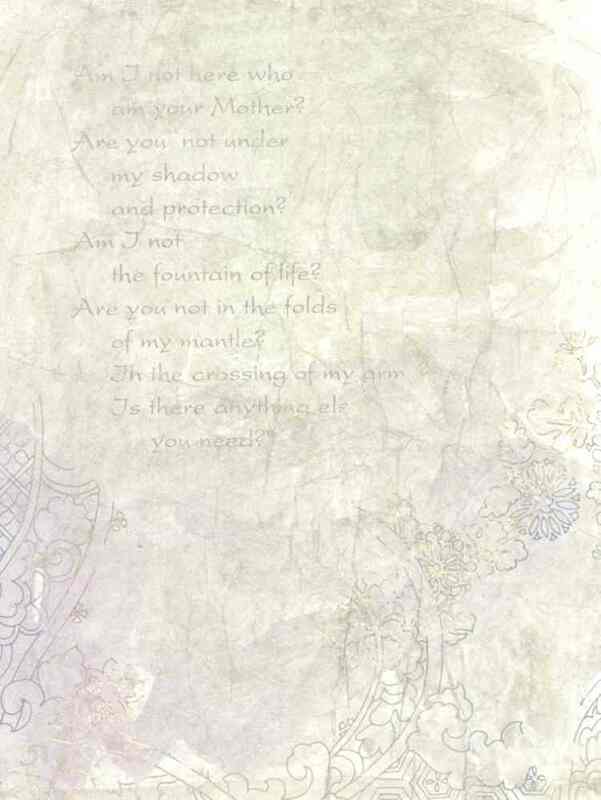 who takes away the sins of the world, have mercy on me! Lamb of God, who takes away the sins of the world, have mercy on us! AVE BEADS: Rare and unable to replace, these antique handmade beads are from Gablonz. 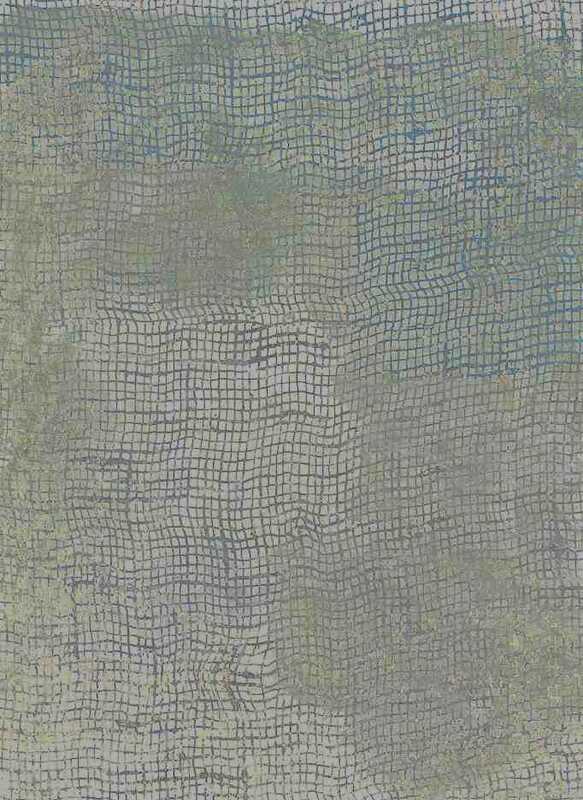 They are irregular in shape, giving them a very natural appearance along with the soft, matte finish. 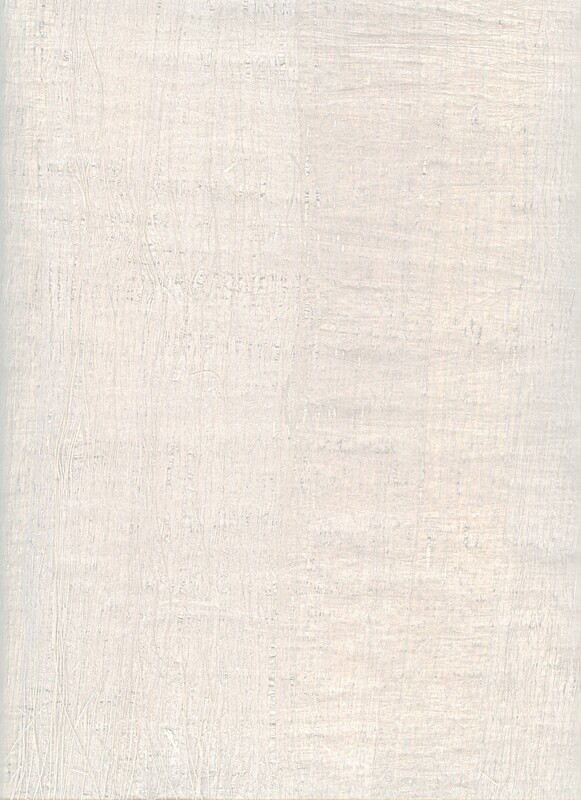 The white is pure white as with the Lamb of God - un stained. 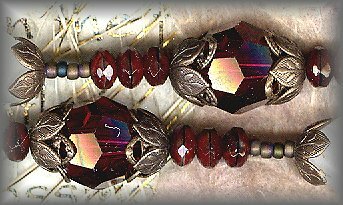 PATER BEADS: Deep ruby red, faceted crystal (Swarovski). 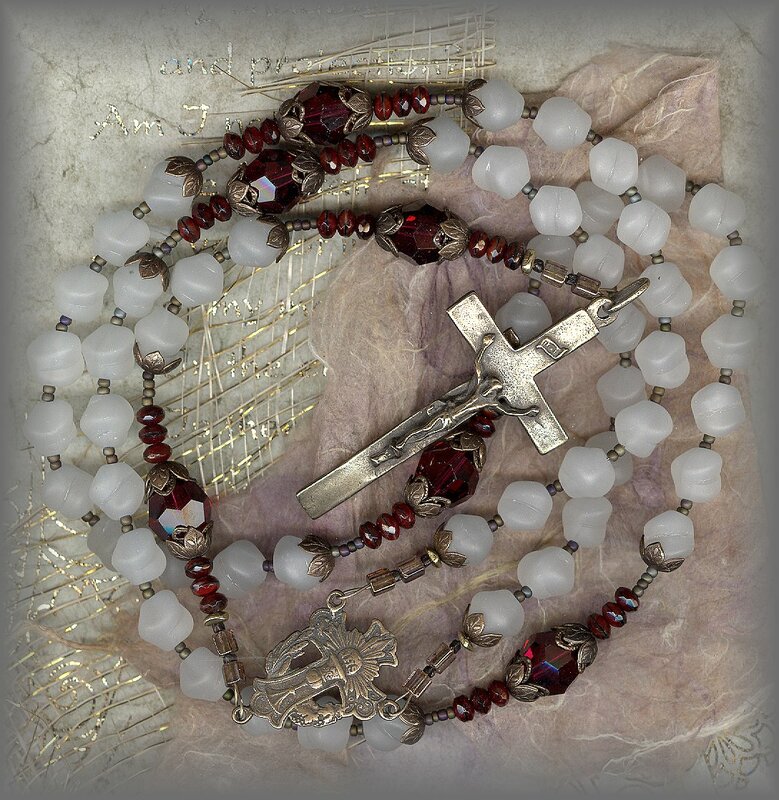 Each Pater bead is capped with antiqued metal filigrees and 3 faceted red rondelles on either side to remind us of the Triune God. "Worthy is the Lamb that was slain to receive power and riches, wisdom and strength, honor and glory and blessing." 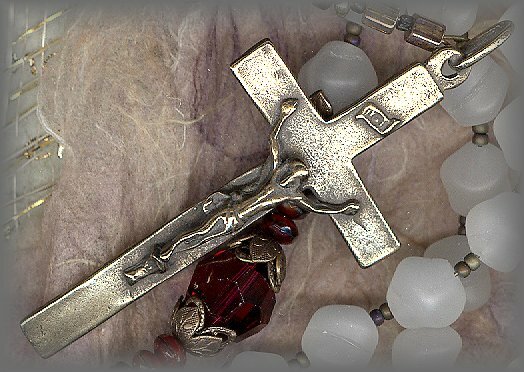 All metal crucifixes, rosary centers, religious metals used on our rosaries and chaplets are available individually. Go to SUPPLIES link to see full selection of hand cast parts. 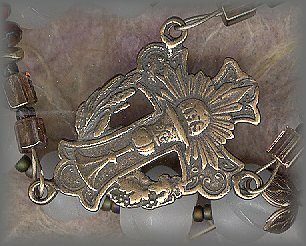 Each cast from antique pieces in solid bronze and sterling silver.